No matter what kind of business you own, you’ve likely realized that blogging is an excellent way to keep your customers informed about important news, product releases, or just keep them entertained. However, with such a busy schedule, it can be a challenge to blog regularly. At the same time, there’s nothing worse than a blog that hasn’t been updated in months and you will lose readers if you don’t blog regularly. Learning some time-saving techniques and tricks of the blogging trade can help you get more written in less time and solve many of these blogging issues today’s business owners face. 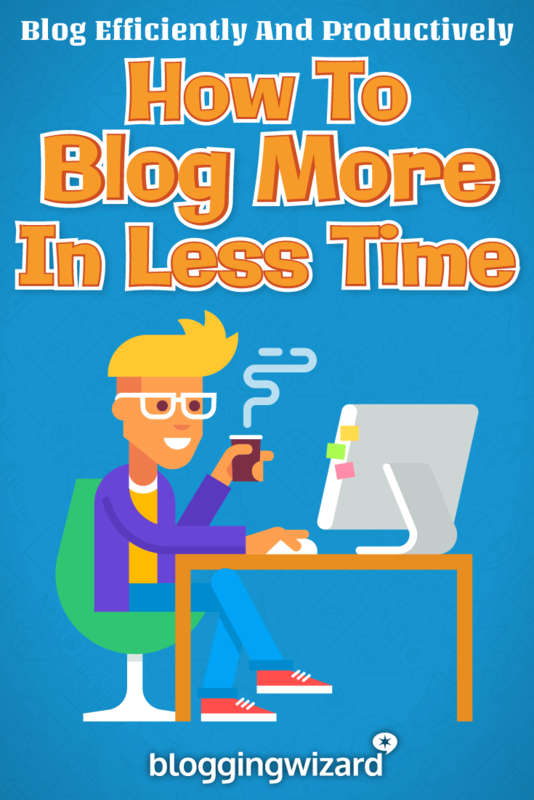 In the following post I am going to share an impressive number of extremely effective tips, tricks and tools that will help you blog more in less time and ultimately become much more productive. Following what I talk about in this post will help you get better results from your blog and ultimately make you more money. Take Notes: Most writers get ideas at the strangest moments. Perhaps an idea strikes while you are driving, in line at the supermarket or waiting in the doctor’s office. Have you ever had a great idea and plan to write it later, but then forget what that idea was? The best thing to do is take note of your ideas all the time. This way, when it comes time to write up a blog post, you can simply pull out one of your ideas, rather than spending precious time brainstorming a new one. Sign up for an Evernote account for easy ways to save, organize and access your ideas. Create Your Own Headline Templates: Good headlines accomplish several things for your blog. They grab reader’s attention, have keywords that people are searching for and tell a story. In a look at A-list headlines, it is recommended that they follow a simple formula for the greatest success. Some of the most successful headlines are list headlines (Top 5 Ways to X) and how-to headlines (How to Write Great Headlines). Jon Marrow of Copyblogger shares 52 hacks that will help you write great headlines. Some of these topics include additional categories, such as threat headlines (Save Yourself from the Zombie Apocalypse), mistake headlines (Do You Make These Five Cooking Mistakes?) and piggyback headlines (Dance like JLo), where you piggyback off a famous person or group. To save time, create some templates that use some of these hacks and just fill in the blanks with your topic of choice. So, one template might be: X Ways to X. Another might be: Don’t Make the Mistake of X. Have an Outline: Knowing what you are going to write before you write it can make the entire process go more quickly. Also, if you have an outline and know you need to write about different topics in an article, you can work on each section in those spare moments throughout your day, making you more productive. Waiting for the water to boil while you cook pasta for dinner? Jot a few sentences introducing your topic. Watching television at night? Use the commercials to write sentences to fill in the body of your article. Take every spare moment and break your article into manageable chunks. Before you know it, you’ll be writing more words than ever before. These writing tools can help you manage your time more efficiently and keep you on task. Write or Die: This is a writing productivity tool. If you find that you keep procrastinating on projects, then this tool can help motivate you. Set the amount of time you’d like to write. As long as you keep typing, you’re fine, but if you stop typing there are consequences from an irritating buzzing sound to the program unwriting what you’ve already written (you set the consequence mode you want). ByWord: This application if for Mac users. It offers a couple of benefits. First, there are some keyboard shortcuts that will make writing quicker and easier. You’ll also gain the ability to sync your writing across all your devices. You can also publish directly to your blog on platforms like WordPress, Blogger and Tumblr. Omm Writer – Do you find yourself stopping in the middle of an article to check the latest tweets or playing a round of Candy Crush or Solitaire? Omm Writer removes all those distractions that get in the way of finishing an article. It is available for PC and Mac. You can also set the mood with background color changes or relaxing sounds. Book-in-a-Week: Although the name of this group has the word “book” in it, users set a word count they want to hit for one week a month. You could certainly set a word count and write articles instead of a book. Challenge yourself by setting a word count that is challenging. Get support from other users and be cheered on as you seek to hit the word count you’ve set. Related: 10 Time-Saving Blogging Tools To Keep You Organized. Staying on top of what’s going on in your market can make writing quicker when it comes time to put your thoughts in print. You’ll have to do less research, because you’ll already be up-to-date on the latest trends and finding statistics will be a snap because you’ll know just where to go to locate them. Google Alerts – Stay on top of what is happening on the Internet by setting Google alerts on any topic you choose. For example, set an alert for Google to send you news stories with the words “new technology” and Google will send you a report when new articles are posted around the Internet. You can be as specific as you’d like, even setting the alerts to a certain location or product. Twitter Search + Tweet Deck: Using a combination of Twitter searchers and Tweet Deck can help you stay on top of what is trending in your niche/industry. You may want to keep an eye on the trending topics on Twitter as well, glancing at them occasionally to see if any of those topics could relate to the theme of your blog. Tweet Deck will allow you to set notification alerts about tweets related to a topic of your choice. Even with the best intentions, if you don’t start with a plan, you might fall behind on things like regular updates and blog promotion. These tools can help keep you on task. Editorial Calendar: If your blog is run on the WordPress platform, there is an excellent plugin that will help you schedule posts, quickly edit titles, and keep track of contents and time spent on the blog. It is appropriately called Editorial Calendar. If your blog is on a different platform, consider using Google Calendar as a central place for your writers and editors to stay on task and see what’s been done and what still needs to be completed. For further reading, check out this article by Elna Cain. Have a to-do list that you actually use. To-Do Lists: Just need a simple to-do list to keep you on track? Clear is a program that will offer a basic to-do list for Mac users and Trello offers a minimalist to-do list for PC users. IFTTT – Automate social media postings with IFTTT. This program uses “if…then” scenarios so you can set up your phone or computer to update social media easily. For example, you can set the program to something like this: “If I post a photo to this Twitter account, then create a status message on Facebook.” You can set up as many triggers as you want, turn them off or on and create special scenarios. Don’t spend untold hours trying to figure out how to make adjustments to a photo. Use free or inexpensive online photo editing tools to do everything from cropping to adding text and make your blog images look awesome. Pic Monkey: This image editor is free for basic use, such as cropping, but requires a premium account for more advanced editing, such as adding sepia tones or fading. Skitch – Need a quick image tool to improve communication? Draw notes and images right on the picture. Skitch also makes screen capture easier and faster. Luna Pic: This free online photo editing tool will allow you to add features like a transparent background or merge two images together. Even if you have a very limited amount of time, you can create your own blog and keep it updated regularly. Use the tools above to get and stay organized. Use the small bits of time you have throughout the day to write outlines and then fill them in with an actual article. Get motivation from sites and tools. Most importantly, write, even if it is only a little bit at a time. Just fifteen minutes a day can equal an article or two every week.